Aleutian islands are some sort of extension of the Alaska Peninsula, which stretches over 90 miles of arc and reaches almost to the shores of Asian Kamchatka. The islands separate the Bering Sea from the Pacific Ocean. Until 1939, when relations between the United States and Japan began to worsen and Hitler's Germany unleashed the Second World War, the US government proceeded to intensely build military bases in Alaska and adjacent Aleutian islands. During the Second World War, the islands became the scene of the American fleet and ground army fighting against Imperial Japan. The Japanese Islands wanted to gain because they could become a significant base for the protection of their northern maritime routes and, at the same time, in a longer perspective, could threaten the continental US territory directly from the islands. While the United States Armed Forces struggled in the southern and southwestern Pacific in the tumultuous climate of the tropical jungles and under the sun, the north fought in the frost, in snowstorms and in the ice of the long chain of Aleutian islands. In the early weeks of the war against Japan, when fighting took place in the southwest Pacific Ocean, the US command did not expect the opponent's assault. On Aleuthes, there was a temporary airport located on Umnak Island, a small naval and military base Dutch Harbor on Unalaska Island, several other ground bases and fishing villages on the islands of Atka and Attu. Only a few months later, as the Japanese expansion began to stabilize in the south, the danger of the Japanese military invasion of the Aleutian islands increased. The Americans gradually began to transfer strong troops to the islands, and to support the ships and air forces. Concerns were warranted because the Japanese actually prepared the Aleutian islands to occupy. By the spring of 1942, Japan had captured most of the southern and western Pacific and needed to protect the rich deposits of oil and raw materials it had taken over. That is why the Commander-in-Chief of the United Navy, Admiral Isorok Jamamoto, came up with a complicated plan to get the American Pacific Fleet Admiral Chester W. Nimitz to the north. As a prelude to the plan, it was counted first with a pretended attack against Aleutam. It included deceptive radio traffic between coastal bases in the area and a non-existent fleet. In order to confuse the Americans about the target of the attack, the Japanese planned divers actions and then occupying the Aleutian islands 24 hours before the first air strike on the island of Midway. It was a weakening of Midway's defense, a desolate but strategically significant atoll in the Pacific that guarded western approaches to the Hawaiian Islands and the United States itself. For the sake of absolute certainty, Admiral Jamamoto also suggested the day before the attack on Aleths to conduct an aerial survey over Pearl Harbor to find out whether an American fleet is being moored in the harbor. To ensure timely information on American ships, he also sent patrols to the submarine at the beginning of June between the Midway atoll and the Hawaiian Islands. The strategy lay in the surprise of the Americans that the Japanese main goal is actually Midway and in their reaction that they are going to the atoll of their main force, including aircraft carriers. With them, the Japanese 1st Aircraft Battalion had to deal with them. Subsequently, Japanese aircraft carriers paralyzed the Midway as an air base, and the invasion alliance would successfully complete landing on the island, which would take over the Pacific Ocean and force the United States to peace. The Jamamoto Defense Force was supposed to be halfway between Aleutami and Midway. He developed a more detailed plan for captain Kuroshima to co-operate with key elements of the staff. The plan was truly magnificent, but failed to find out how the Americans were able to decipher the Japanese codes. President Franklin D. Roosevelt has repeatedly asked Admiral Nimitz to go to Aleutam instead of Midway Island, but Nimitz believed in deciphered Japanese reports and was preparing to defend the atoll. The Americans knew the Japanese plan for the offensive operations against their Pacific bases in considerable detail. They also used a warfare, but with a better result than Admiral Jamamoto and his huge fleet. They knew that in the Japanese plans, the goal of the operation was codenamed AF. Their Maritime Intelligence Service has asked the commander of all the likely targets of the Japanese attack to report to their High Command some of their specific problems. The Midway Administration complained about the problem of seawater desalination. Indeed, the radio intelligence trap of the Japanese Intelligence Service, which reported that AF has this problem, was detected. Americans mostly avoided direct engagement with the stronger Japanese fleet, but Jamamoto rightly assumed that Americans would not give up Midway without a fight. When Japanese command in the spring of 1942 did not encounter stronger resistance of allied troops, it was decided to extend the outer zone of defense of Japan that led through the Kuril Islands, Wake, Marhall Islands and the Malay archipelago. 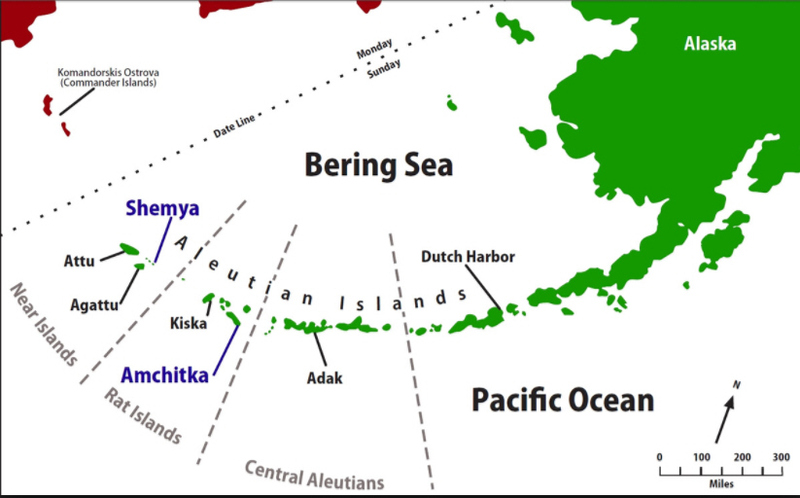 The defense zone was to be expanded by occupying the Aleutian islands in the west and Midway in the east.